Every year thousands of tourists visit Costa Rica for it’s promise of abundant wildlife sightings. Most of those tourists are eager to see sloths, monkeys and toucans rather than the fear-inducing snakes that inhabit the entire country. A smaller minority come here to seek out these beautiful creatures. 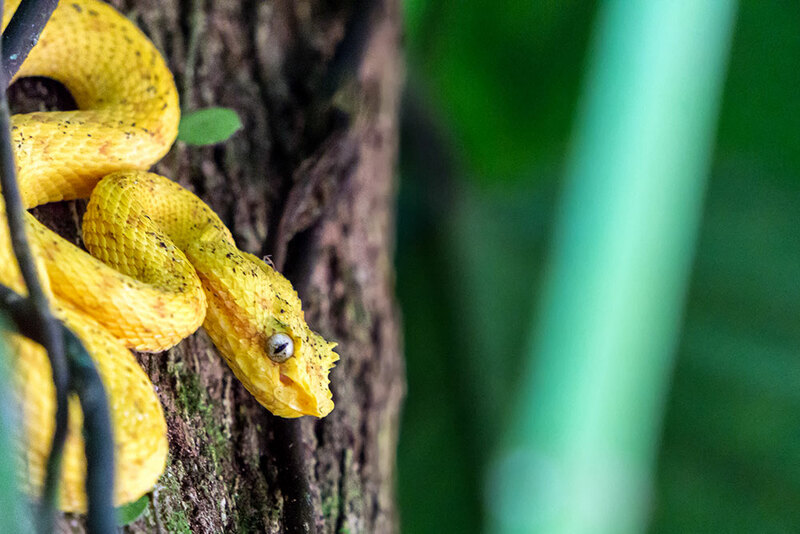 Those that fear these reptiles might be unnerved to find out that Costa Rica has one of the highest venomous snake populations in the world, with an estimated 2 venomous snakes per hectare. 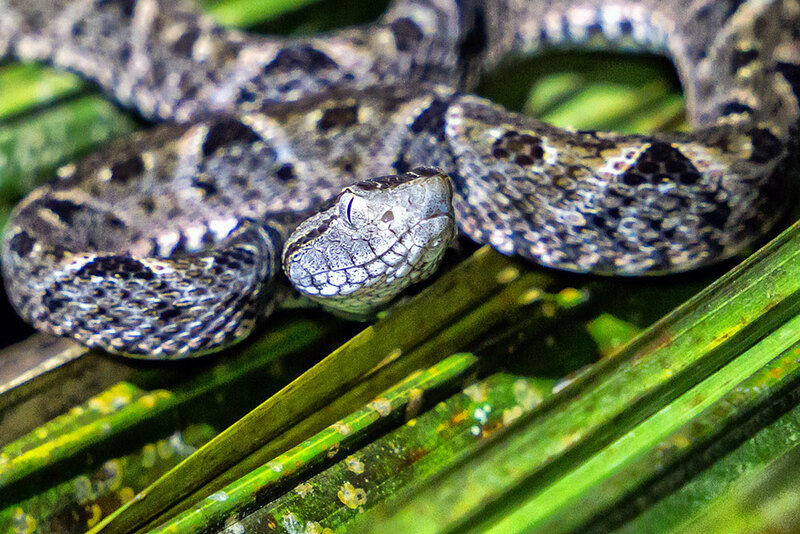 I’ve always been fascinated by snakes and during my two visits to Costa Rica I made it my mission to find and encounter them in the wild firsthand. Although the country is crawling with snakes they are very elusive and hard to find. If you’re not out looking for them you’ll probably never see one. To my surprise the vast majority of Costa Rica’s licensed guides don’t have a clue how to find snakes. Since most tourists don’t ask to see them they haven’t bothered learning how to spot them. I had to seek out guides who had those specific skills and it wasn’t easy to come by. 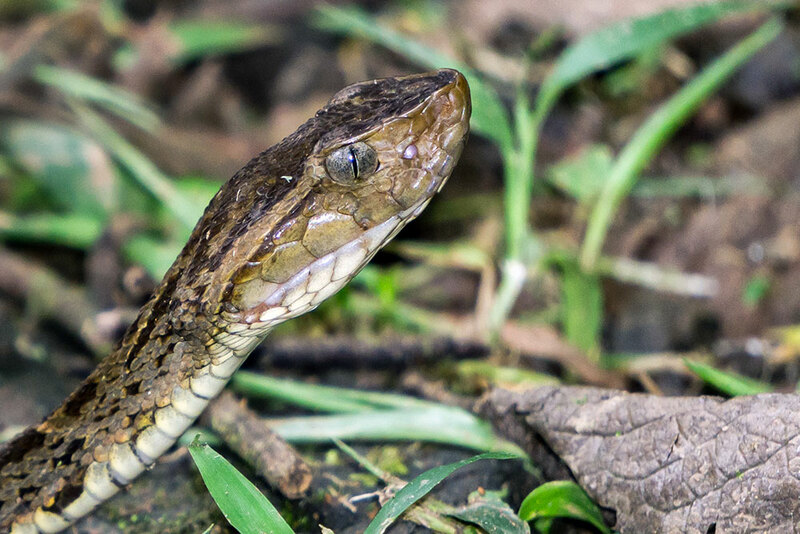 After dedicating several days and many late nights trekking through Costa Rica’s rain forests and parks I was able to find 21 snakes in the wild. 1 Sighting: Corcovado National Park, Osa Peninsula. Found on the ground, hiding next to a rotting tree. This particular snake let us get pretty close without moving at all. 1 Sighting: Puerto Jiménez, Osa Peninsula. Found at night near eye level in a small tree. Docile and not aggressive when approached. 2 Sightings: Puerto Jiménez, Osa Peninsula. Dominical, Puntarenas. Spotted once at night in the same location as the banded snail eater. The second time it found in a tree near Dominical. These docile snakes allowed handling without any aggression. 2 Sightings: Manuel Antonio National Park, La Selva Biological Station. 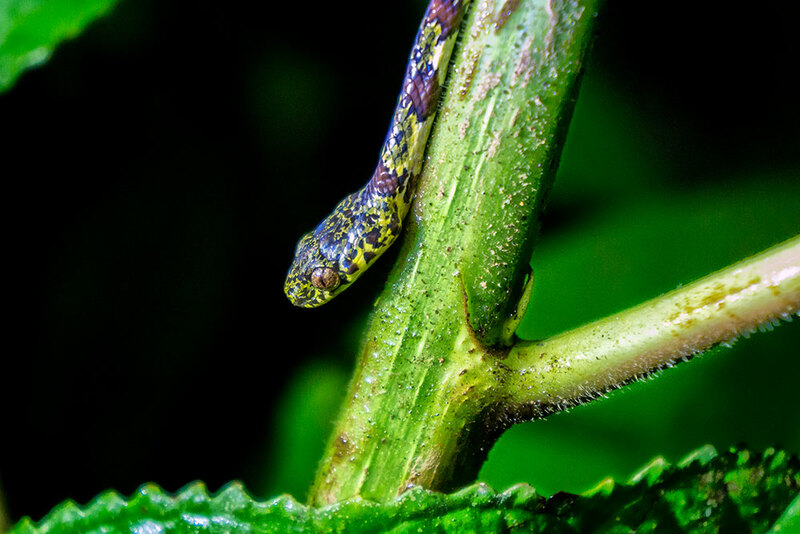 The first parrot snake I found was on the edge of a trail in Manuel Antonio. It held completely still even as hikers stomped loudly along the trail. It let me and my camera lens within 6 inches of its head and never flinched. The second sighting in La Selva was much different. That snake bolted as soon as I was within 5 feet. 3 Sightings: Quepos, Puntarenas. La Selva Biological Station. 4 Sightings: Quepos, Puntarenas. Rainmaker Park Preserve. Cahuita National Park, Gandoca-Manzanillo National Wildlife Refuge. 1 Sighting: Quepos, Puntarenas. Driving down a country road on the way to night hike I noticed a local old lady had stopped and paused on the side of the road. Her attention was clearly on something in the grass so we stopped to find out what it was. She had found this magnificent red viper. She left and we likely saved this snake’s life as many locals kill snakes on sight. 3 Sightings: Quepos, Puntarenas. Costa Rican Amphibian Research Center. 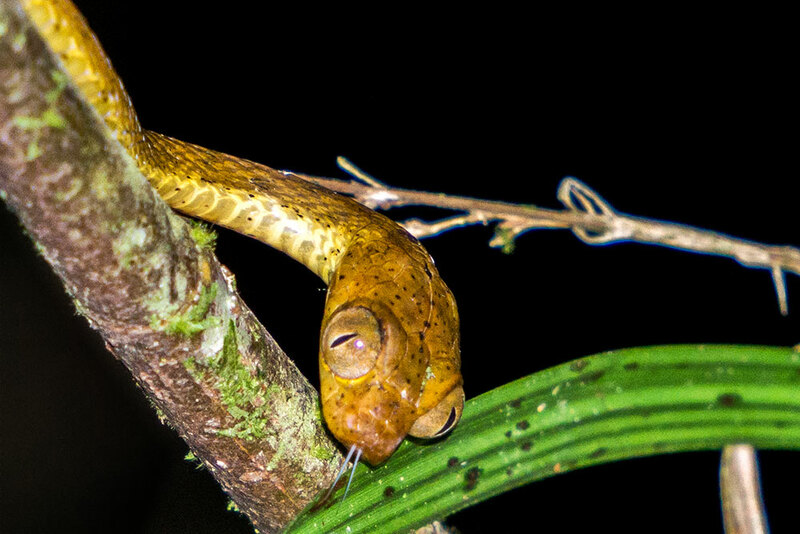 These are Central America’s most feared and dangerous snake. 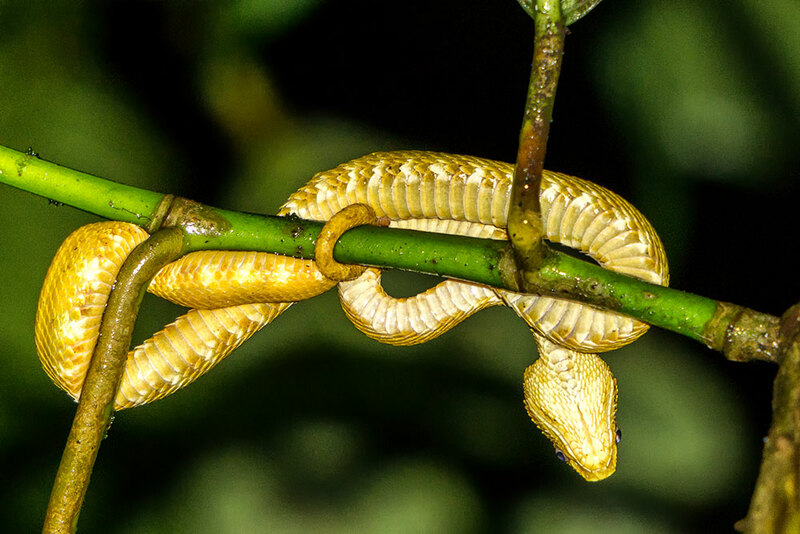 The venom is very potent and bites can result in life altering injuries. My encounters with this species were very exciting. I nearly stepped on one in the middle of a trail during daylight hours – rather than living up to its aggressive reputation it thankfully decided to flee rather than strike. None of them were comfortable with close proximity to us and all were quick to try and hide when we approached. 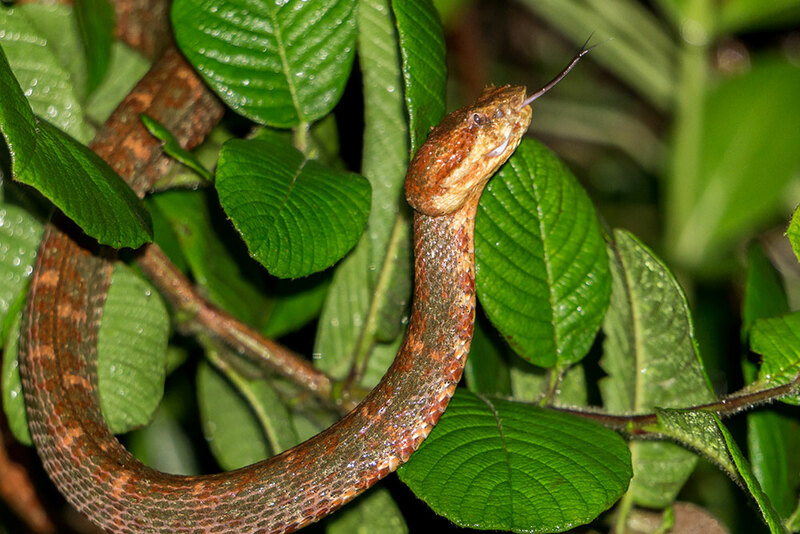 Costa Rica has 139 known species of snakes. 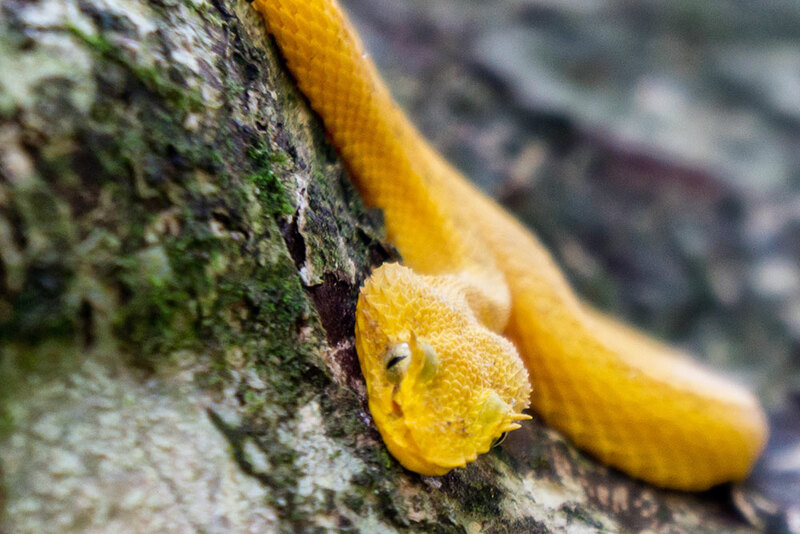 There are 22 species of venomous snakes in Costa Rica. Snakes represent 60% of the reptiles of the country. 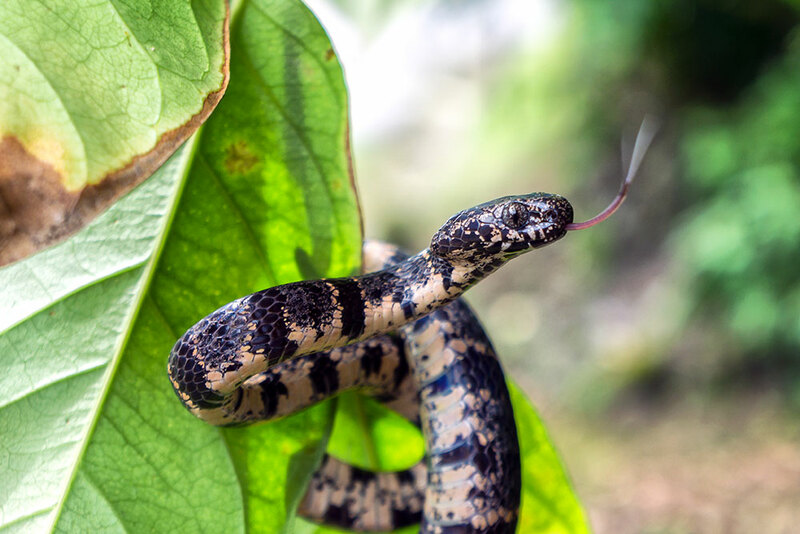 Snakes are found as high as 9,000 feet in elevation. 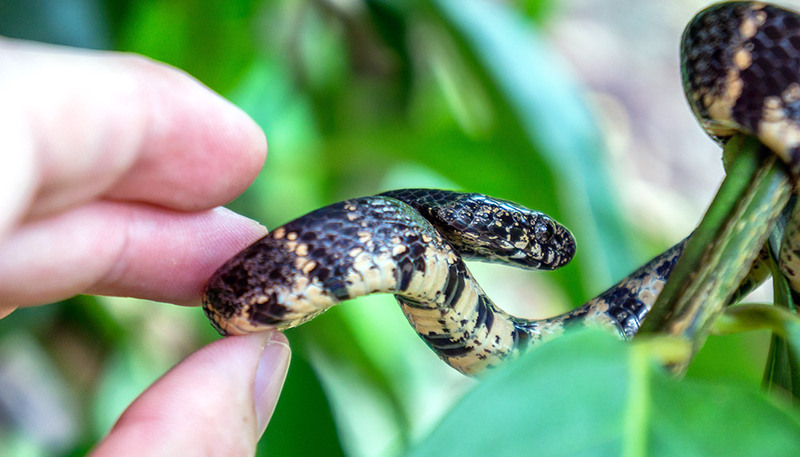 Costa Rica has an estimated 642 snake bites per year. 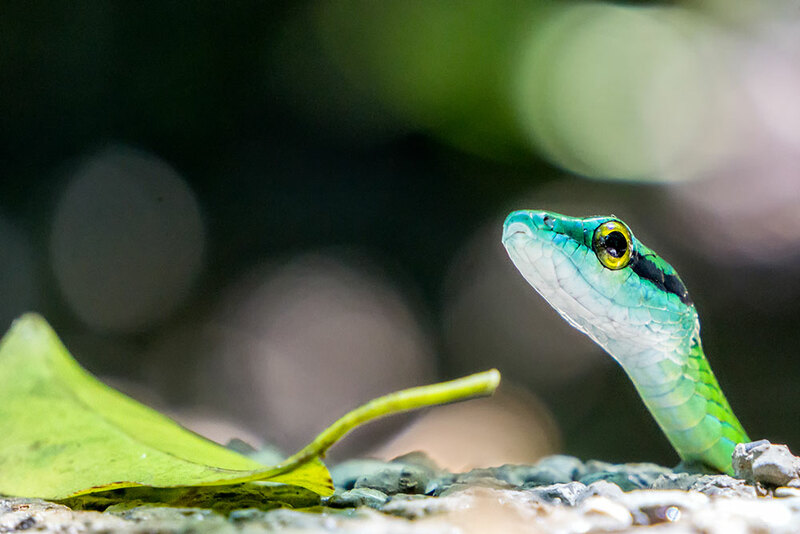 There are 13 Species found only in Costa Rica. 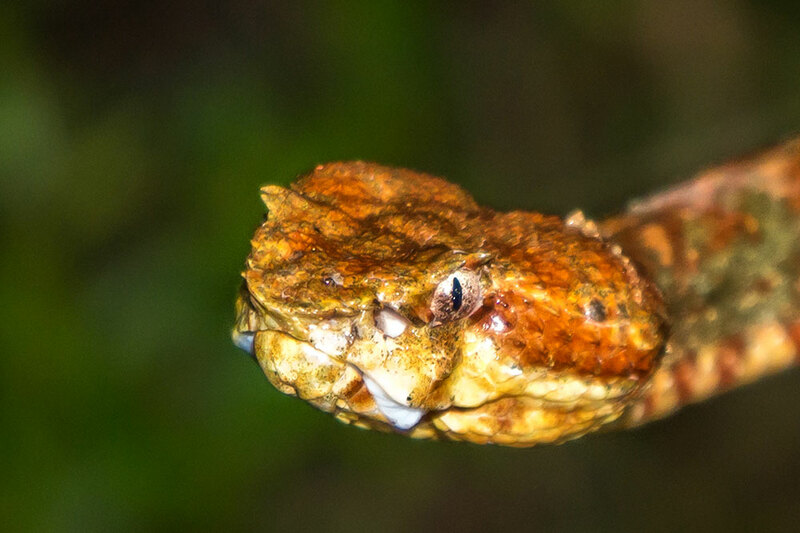 The snake that most often bites people is the dangerous Fer De Lance. 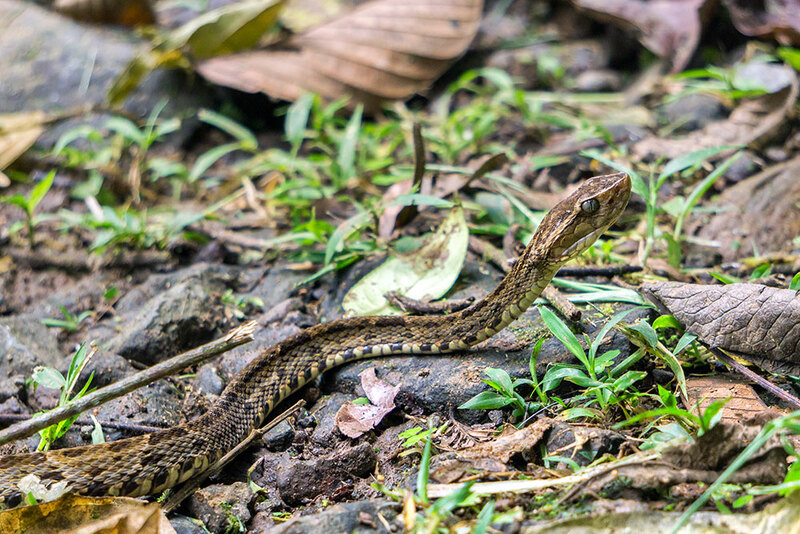 Herping or searching for snakes in the jungle was an unforgettable adventure and an amazing way to experience Costa Rica’s wild nature. 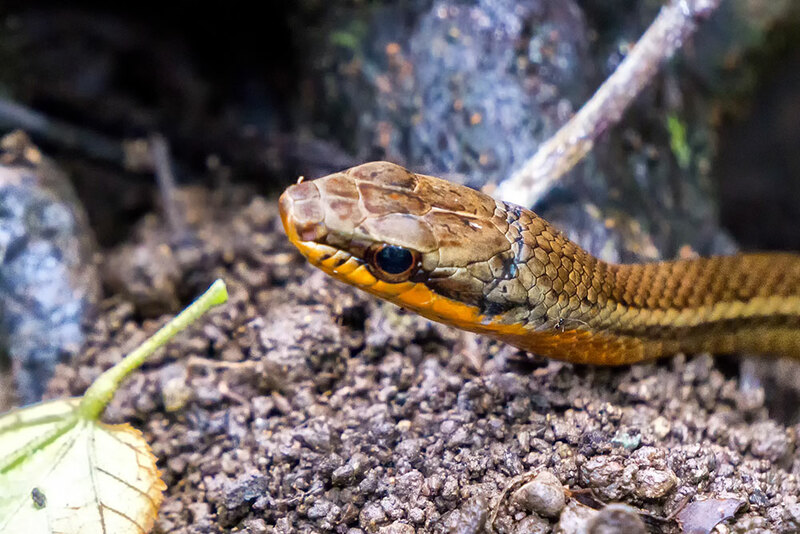 Most snakes easily blend into their surroundings and careful as you may be there is an element of danger present which adds to the excitement of hiking through the jungle; especially at night. I hiked miles through jungle during rain showers and spent hours covered in mud and sweating profusely. I slipped and fell in several creeks and played the balancing act on muddy trails. I loved every minute of it! There’s a special feeling of achievement when you have to work hard for something and finally achieve the results you desire. I’ve always been thrilled to come face to face with wild animals (and marine creatures) whenever possible. We could be last generation that has the privilege to experience many of them. 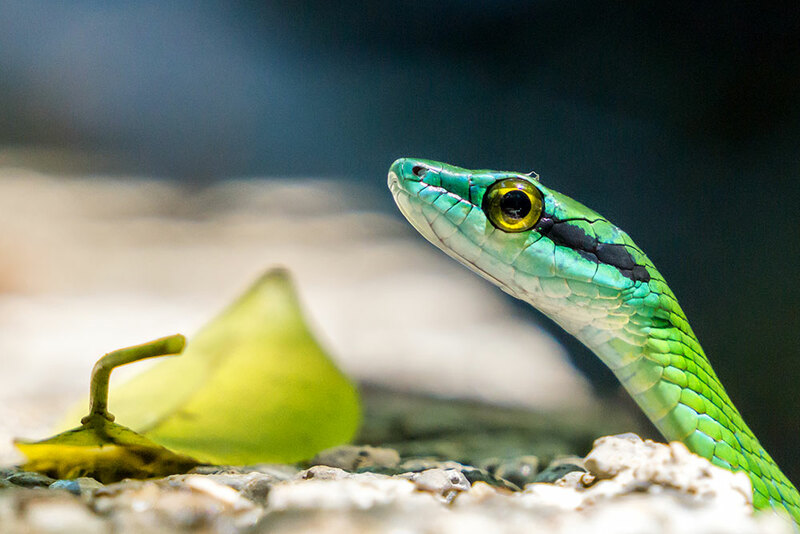 In addition to all the snakes I was able to see many species of frogs, lizards, insects and all sorts of other wildlife in their natural habitats; rather than behind a glass enclosure or crowded park. These memories are some of my fondest of the country by far. 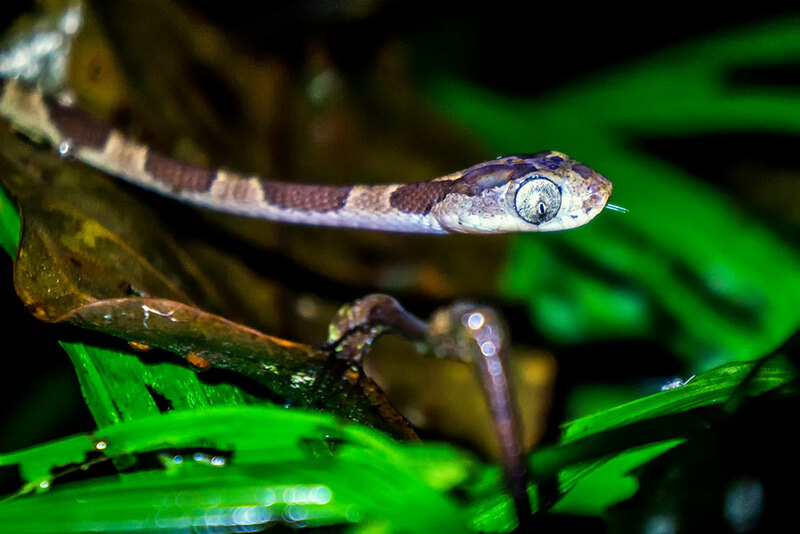 Costa Rica has a large variety of snake species, some of which are active during the night and others in daytime hours. 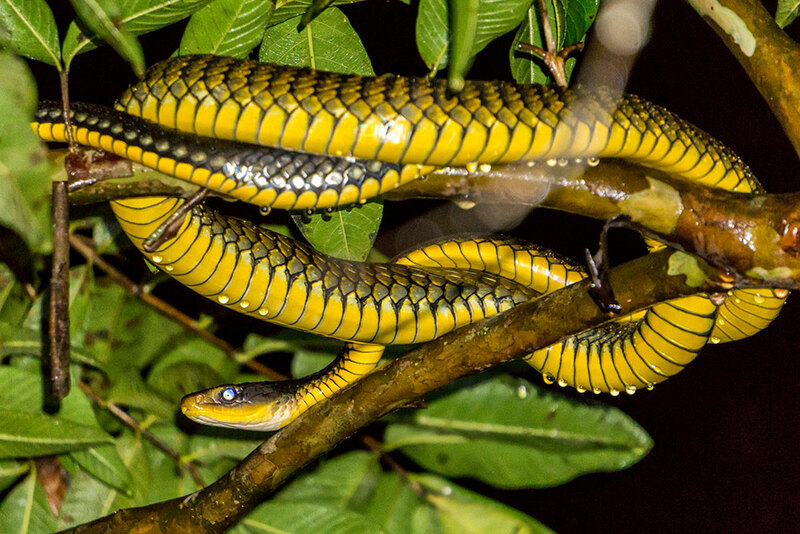 Snakes are commonly found on the ground and in elevated vegetation such as tree branches. They can be difficult to find if you don’t have experience and knowledge about their specific habitats. I am far from an expert and I chose to do the majority of my snake searching with the services of guides. 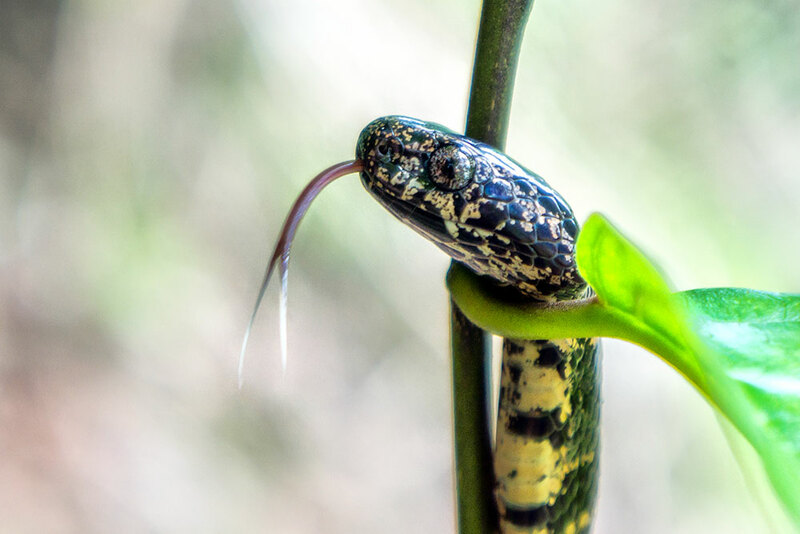 If you arrive without previously reserving a guided trip you will likely find it difficult to locate one that has the expertise for locating wild snakes. On my first visit to the country I learned this the hard way with a lot of disappointment. One technique which finally worked was to request and insist the guide puts part of their fee on the line. This insures they are properly motivated to do their best. In places like popular national parks the licensed guides line up in a queue and whoever is next is who you get stuck with, even if you say you specifically want to find snakes. After offering a deal of doubling their fee if they were successful, and cutting it in half if they failed these guides were much less confident in their ability to locate the snakes they promised minutes beforehand. Only with persistence was I able to find the expert out of the bunch. The best way to find a highly skilled guide will be to contact them over email about your desires and set up reservations before your trip. I had amazing success finding all of the snake species and frogs I asked for when I met with Brian Jimenez in Manuel Antonio. He is not only very talented at finding all kinds of wildlife; he does so with great knowledge and a joyous attitude. It was easy to see that he genuinely loves his job and the experiences he’s able to provide his customers. Although I wasn’t able to use them personally, Herp Costa Rica has guided trips each year on set dates. If you’re able to visit during one of their trips that could be another potentially excellent way to see as many wild snakes as possible. If you enjoyed Costa Rica’s snakes check out the incredible frogs I also found during my adventures across the country!